As CEO of the Swedish arm of France-based distillery group Pernod Ricard, she was responsible for the integration of the formerly state-owned wine and spirits producer Vin&Sprit. Now Isabelle Ducellier has taken the helm for the listed BioGaia in a fast-growing global market. Sales: SEK 532 million for January-September 2018 (SEK 455 million). Operating profit: SEK 202 million for January-September 2018 (171). Largest shareholder: Annwall & Rothschild Investments AB. Managing Director, Isabelle Ducellier. Number of employees 140. About the company: BioGaia develops and sells clinically tested dietary supplements based on the lactic acid bacterium Lactobacillus reuteri. The dietary supplements are sold as drops and tablets and are used among other things to prevent and treat gastrointestinal disorders in children and adults, including colic and constipation. The Pediatrics segment accounts for 80 percent of revenue, while the remainder is attributable to the Adult Health segment. The products are sold in some 100 countries through more than 80 distributors. The distributors sell the products partly under the BioGaia brand but also under their own brands, such as Semper in Sweden. *Latest share price from last week due to early closing of the press. It’s mid-December and Isabelle Ducellier is at BioGaia’s head office in central Stockholm. With eagerly gesticulating hands and in French-tinted Swedish, she talks about her intensive efforts to familiarize myself with the organization. Every other week until the summer, she will be traveling around and among other things visiting BioGaia’s distribution network, which is made up of 80 partners with sales in over 80 countries. For close to a quarter century, Isabelle worked with various spirits brands within the French distillery group Pernod Ricard. Now she has taken over as Managing Director of BioGaia with a mission to help the listed probiotics company capture additional growth in the market for probiotic-based dietary supplements, which in 2020 is expected to reach worldwide sales of USD 5.4 million according to the market research and strategy company Global Market Insight. She has joined a business that is in good health, which is visible in the latest interim report. Over the nine-month period from January to September, the company succeeded in boosting sales by 20 percent compared to the same period of last year, to SEK 532 million, while gross margin landed at 37 percent. Here, it might be necessary to stop and reflect on BioGaia’s history and operations to better understand the context. BioGaia’s over-the-counter and clinically tested dietary supplements are sold in the form of drops and tablets, and are used mainly to prevent and treat different types of gastrointestinal disorders, in both children and adults, such as infant colic and constipation. BioGaia’s more than 80 distribution partners around the world market the products primarily through doctors and other health professionals. They recommend dietary supplements to patients, who then buy these in pharmacies or natural health stores. The company was founded in 1990 when entrepreneur Peter Rothschild (currently Chairman and a major shareholder) and Jan Annwall (currently a board member and major shareholder), acquired the rights to the lactic acid bacterium Lactobacillus reuteri. Lactic acid bacteria is really a collective name for various microorganisms that have long been found naturally in the human gut flora and are considered to contribute to digestive health. The lifestyle changes of the past decades – with more perceived stress and increased use of antibiotics – have reduced the occurrence of these bacteria in humans, writes the company in its annual report for 2017. Unlike antibiotics, which are used to eradicate harmful bacteria, the aim of probiotics is the continuously provide health-enhancing bacteria via dietary supplements or food products. Initially, during the 1990s, BioGaia was focused on sales of functional foods that had been enriched with the patented bacterial strain, such as milk and juice. In the 2000s, BioGaia set out on its current course toward development and sales of clinically tested dietary supplements rather than food – and since then the business has grown in leaps and bounds and has become the stock market’s success story alongside its competitor and industry colleague Probi. The first year of profit was 2006 and the first cash dividend to the shareholders was paid in 2009. And last year the company reached a new peak with sales of SEK 615 million, of which 80 percent was attributable to the Pediatric segment and the remainder to the Adult Health segment. The bulk of revenue comes from the EMEA area (Europe, Middle East and Africa) – but at the same time, the Asian market is showing rapid growth. “Probiotics are a growing global phenomenon. When you visit pharmacies in China or Singapore, there are almost more probiotics than drugs. Many people have started to understand that antibiotic-resistance is a problem, and are seeking alternatives to reduce use of antibiotics. That means enormous revenue potential for us. A dream scenario for the future would be for Europe, the Americas and Asia to each account for one third of sales. That would minimize the risks and create more stability in the organization,” she says. There is a stubborn belief – some would say a myth – that Frenchmen dislike speaking any language other than French, most particularly English. In that case, Isabelle Ducellier is an exception, since she aside from French also has a command of Swedish, English, Spanish and German. She was born in 1969 in the municipality of Arras in the northern French department of Pas-de-Calais, but does not regard the city as her home turf. Her father was an engineer and held a variety of different leading positions in the partly state-owned energy company Électricité de France, which meant that the family (which also consisted of her mother, who was trained as a nurse) moved to new locations at regular intervals. Already as a teenager, Isabelle Ducellier started to feel that France was too small and cast her gaze abroad. She took part in an exchange program to Germany and worked as a language study abroad leader in Ireland. After studying international marketing at the University of Lyon, she joined the listed Pernod Ricard in 1991 and stayed there for the next 25 years. When she was appointed Marketing and Sales Director Sweden in connection with the millennium shift, she learned Swedish. This language skill was one of the reasons why she was later named CEO of Pernod Ricard Sweden in 2008, when Pernod Ricard acquired the state-owned wine and spirits producer Vin&Sprit (with brands such as Absolut Vodka) for SEK 55 million. “We should be every bit as established and well known as any of the brands I have worked with earlier, including Absolut Vodka,” says Isabelle Ducellier. Her task was to handle the integration of the two companies – one family-owned and the other state-owned. At first she thought it would go quickly, but she soon realized that it was complicated. “This was partly because the French leadership style is different from that in Sweden,” says Isabelle Ducellier. “The French are more hierarchical and not particularly afraid of conflict, while Swedes prefer to reach decisions through consensus-seeking discussions,” she explains. Born: 1969 in the French city of Arras. Family: Husband, three children and three bonus children. Job: Managing Director of BioGaia since November 2018. 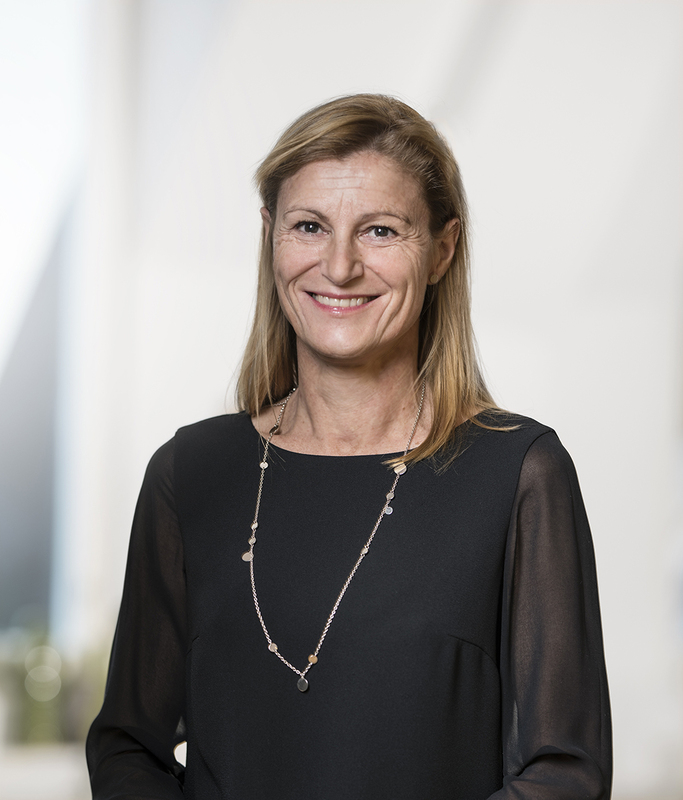 Background: Has held various leading positions in the distillery group Pernod Ricard, has been a consultant at McKinsey Sweden and Secretary General of the Swedish Childhood Cancer Fund. Education: M.Sc. International Marketing, MBA from Harvard University and INSEAD. After two decades in the organization, Isabelle Ducellier felt the desire the change direction. In 2015 she earned an MBA from Harvard University in the USA, and at the beginning of 2016 she decided to leave Pernod Ricard. But her exit was mainly motivated by another event. Her 15-year-old son had been diagnosed with skeletal cancer and she needed to focus wholly on his nine-month regimen of chemotherapy treatment. During this trying time in the hospital, she came in contact with the Swedish Childhood Cancer Fund. In 2017, when her son’s treatment was completed, Isabelle accepted an invitation to become Secretary General of the non-profit organization. “The Swedish Childhood Cancer Fund is a professional organization for which I have great respect. For me, being Secretary General was no regular job, it was a way of giving something back in return for all of the help and security we received when my son was treated,” she says. In connection with BioGaia’s annual shareholder meeting last spring, Isabelle Ducellier was voted to the board of directors. When former Managing Director Axel Sjöblad, who had held the post since 2016, left the company with just over a month’s notice, the board asked if she would take over the position. When Affärsvärlden asks why her predecessor left so relatively abruptly, she answers, “He reached an agreement with the board to resign, since the board had entered a new phase with more consumer-oriented marketing. Even though BioGaia has doubled its sales since 2013, and although the company has carried out 184 clinical studies to investigate and prove the beneficial health effects of its probiotic strains, the probiotics industry as a whole remains somewhat controversial. This is underlined among other things by the EU legislation on health claims in marketing of probiotic-based food and dietary supplements. In short, health claims express the beneficial health effects on the consumer, and may be used only if they have been approved by the EU following scientific review by the European Food Safety Authority (EFSA). According to the Swedish National Food Agency, there are currently no approved health claims for any of the bacteria or fungi described as probiotics. Not even the word probiotics – which is regarded as a health claim in itself – is permitted in labeling or marketing of food products. A few years ago, at the end of 2015, the International Probiotics Association Europe was founded to highlight the positive effects of probiotics, to encourage research and to drive the industry’s views on health claims in marketing. But so far, the EU has not been convinced. So, has BioGaia sent in any applications for health claims, and wouldn’t it be an advantage from a consumer credibility standpoint to have the health claims approved? “We sent in applications when the opportunity arose, but withdrew them when we realized that they were not suitable since they applied only to preventive health claims and we had studies on specific indications. Since our marketing has so far been targeted toward health professionals, we have not felt the need, since doctors and other health professionals recommend our products. Now as we turn more toward consumers, this might be necessary further ahead. For that reason, we are not ruling out applications for heath claims in the future,” she says. That the probiotics industry as a whole is still somewhat disputed is also noticeable in the news flow, where more critical texts about the effects of probiotics sometimes pop up. In November, the Swedish magazine Dagens Medicin published an article on studies showing that two widely used probiotic strains – namely Lactobacillus rhamnosus and Lactobacillus helveticus – are no better than placebo in treating more severe gastrointestinal conditions in infants and children. What is Isabelle Ducellier’s view on the risk for articles of this type that can give rise to a more negative public debate about probiotics in general, and thereby also affect BioGaia’s business? The stock market has continued to smile on BioGaia and the share price has risen in the long term – by 45 percent over the past five years. But to the shareholders’ assumed disappointment, the price has sagged at 28 percent for the past three months. One possible reason is the news about the new royalty agreement with Nestlé. For some time BioGaia has received royalties when the Swiss food producer uses its bacteria cultures in growing up milk for children over 1 year. In the second quarter, however, BioGaia announced that Nestlé now wishes to renegotiate the contract, which expires at year-end. The royalties from the new agreement are expected to be SEK 40 million lower in 2019 than in 2018, according to the company. But Isabelle Ducellier is not worried about this.